Steve Colangelo Shihan 6th Dan Renshi, is one of the most senior and longest serving members in the Australian Branch of the IKGA. 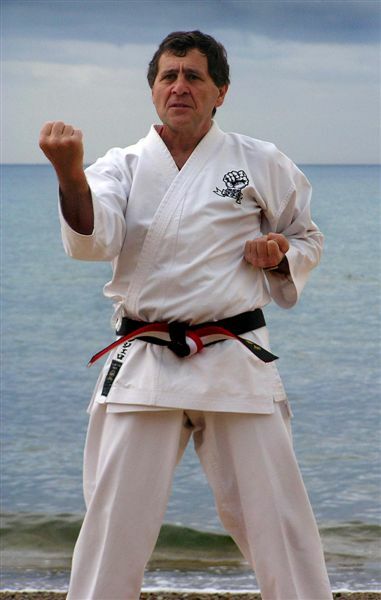 He was one of the original students of Shihan Tino Ceberano [a former Branch Chief of Goju-Kai Australia] , who first started the Victorian Branch of the IKGA in the mid 1960’s. Steve Shihan is highly respected as a senior instructor not only within Goju-Kai circles, but also within the Victorian and Australian Karate Federations as well,having had a highly successful history as a competitor and a champion of tournament competition on a State and National level. After nearly 43 years of training,and teaching he is now also concentrating his efforts on coaching and instructing the younger generation of upcoming champions, drawing on his wealth of knowledge and experience.